One the fun tasks of getting the digital-first Samhain books ready for print is doing GALLEYS, where I get one last chance to go through and fix typos, and small word mix ups, because face it, it IS impossible to get them. I go through my books, my beta readers do, my editor and I do multiple passes looking for everything to fix. A Final Line Editor (FLE or also called a CE- copy editor) looks at it and even before Samhain makes up the ebook formats for the different stores I read it through one more time. 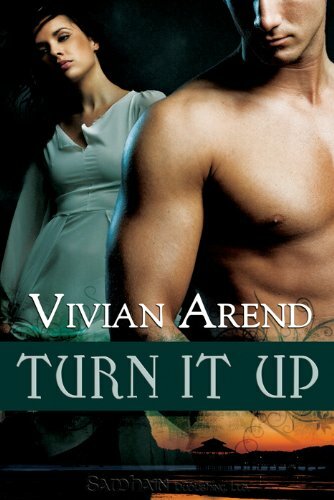 This time, for TURN IT UP? There were only 6 corrections in the entire book. CHEERS. Also, I get to send along some reviews that will be included in the front pages of the print book. I want to share this one with you because it made me lol so hard. Max is quite possibly one of the most swoonworthy heroes I’ve read about in recent memory. I am a total sucker for the Hero In Pursuit trope, and Arend really makes it work here. This can be tricky, since the guy who pines for the heroine from afar (and for years!) can come off as creepy or stalker-ish, but Max is such a fantastic guy that after the first chapter I was ready to remove the Gone Fishin’ sign from my uterus and make babies with him. Nowadays there is lot of unforeseen circumstance which force folk to take remedies. You can order medicines directly your office. In these latter days the stock you can find in online pharmacy is actually high. Some medications are as a rule used to treat many types of bacteria, such as tonsillitis and infections of the throat. Other ones are used to treat diabetes. Cialis is a remedy used to treat divers afflictions. What do you have to know about cialis order online? Presently many families search for the exact keyword ordering cialis online on the Internet. Perhaps you already read something about it. Having erectile disfunction can beyond doubt complicate romance. What can cause erectile dysfunction? A row of psychological issues can produce erectile dysfunction. What should you discuss with a physician before taking Cialis? Any curing may cause dangerous side effects. Sometimes side effects can be actually dangerous. Talk to your pharmacist about the proper disposal of your drug. That is quite a fun and cool review.